Dr. Smart Phones has served the Irvine, CA area for years. We are proud of our professional unlocking service. Our business was founded with a vision of providing the best cell phone maintenance service possible. From beginning to end, we utilize the latest technologies and industry standards. We focus in unlocking service with highly experienced cell phone repair specialists. We concentrate on each customer, providing a reliable unlocked cell phone. 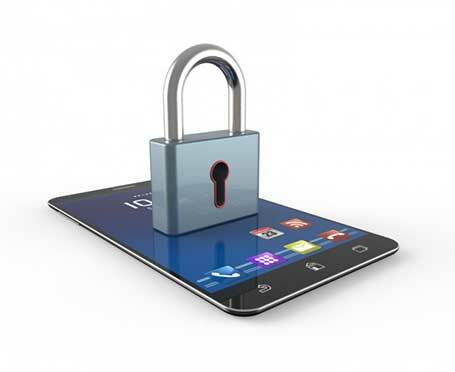 We accommodate any type of cell phone you need unlocked. Whether you have an iPhone or Samsung, we surpass your expectations with proven reliability you can depend on. If you have a cell with one carrier and want to use the same phone with another carrier, come to us so we can unlock it. This saves you money on having to purchase a new handset. Our mission is to form long-lasting relationships with you in order to become your first choice for any cell phone repair or maintenance work. Due to our dedication to quality unlocking, we have experienced continuous growth. Our business works with any type of cell phone, regardless of the manufacturer. We are ready and available for whenever unlocking service is requested. We are successful in our Irvine, CA cell phone repair business because we use traditional methods combined with contemporary, cutting-edge techniques when our experts unlock a cell phone. Our crew consists of very detailed cell repair professionals who don’t settle for anything less than an exceptional job with every job. No unlocking task is too big, small, or detailed for us. All work done by us is done with high-quality materials and completed quickly. Our business is the place where trust and hard work are top priorities. Want your phone unlocked? Contact Dr. Smart Phones today! We have been in the cell phone repair industry for years. Our pros know to treat you with the utmost respect at all times. Backed by our willing and knowledgeable team, we are at your service. If you want the best unlocking service in Irvine, CA and the surrounding areas. We are a top notch Irvine cell repair and unlocking service provider. For a long time, we have earned a stellar reputation for providing first-class customer service with our well-performed unlocking. ​Our dependable cell unlocking crew, along with our competitive rates, makes us the most-requested cell phone unlocking company in the Irvine, CA area. When you make an appointment with us, our friendly team makes sure all your requests are taken care of. We are able to unlock any phone you own. Our team welcomes the chance to show you how affordable and simple unlocking can be. We take pride in providing more than distinctive cell maintenance and repair services. With any of our projects, we insist on a supreme level of workmanship during the project. After you have talked with us about your requests, our specialists create a detailed plan that is the essence of your needs. When you desire assistance in getting your phone unlocked, which saves you time and money, use our service at Dr. Smart Phones. Carriers limit certain applications to their particular services. Jailbreaking simply allows you to download the applications that re restricted by the operating system on the phone or the carrier.